A brand new variety, once you start you can not stop. Very thin crispy wafer layers meet sour green apple cream, and the result is delicious. 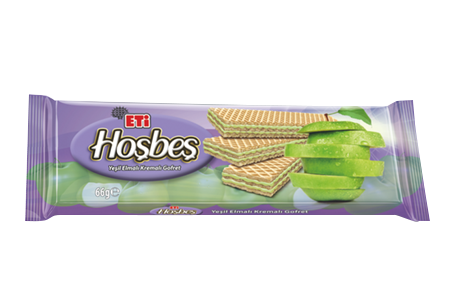 Brand new member of Eti Hoşbeş family which will melt in the mouth and be an irresistable taste: Eti Hoşbeş with Green Apple. ETİ Hoşbeş, stop, if you can!